This post is WAYYYYYYYYYYYYYY overdue!! 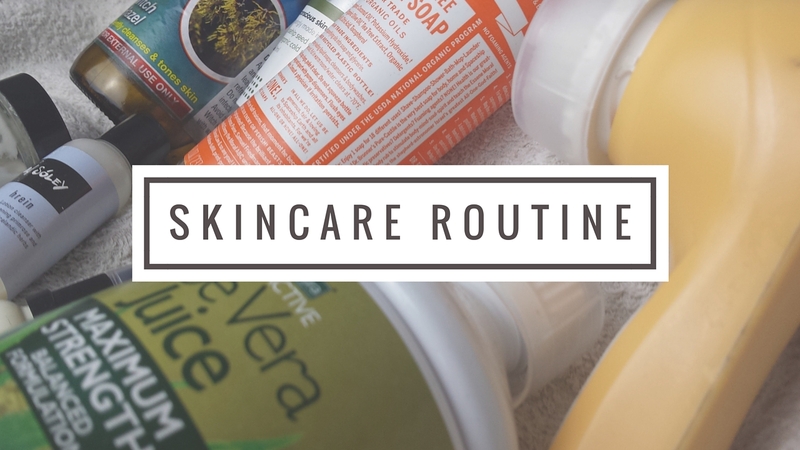 I have been testing and trying different products over the past 6months and I finally have a skincare routine that works! One of the biggest things that has contributed to me having great skin is my daily water intake. You have to start from the inside out, before rushing out to buy every product there is! I am addicted to drinking water...seriously, I have a slight problem. If I don't drink water before I go to bed I can't sleep. It's that bad!! Water is a HUGE must if you want to improve your skin and add a glow from the inside out. Drinking water provides moisture and helps to replenish the skin tissue and improve the elasticity. Remember your skin is an organ!! It also provides hydration. Yes, your face needs to be hydrated, otherwise it will dry out! 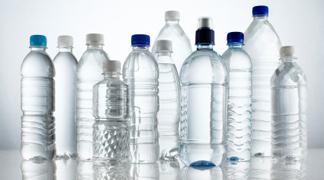 Drinking water helps to keep your skin soft, supple and stay looking youthful. First thing is first... wash your hands!! No point touching your face with dirty hands!! Then I splash my face with warm water to get rid of any dirt on my face and proceed to start my cleansing routine. 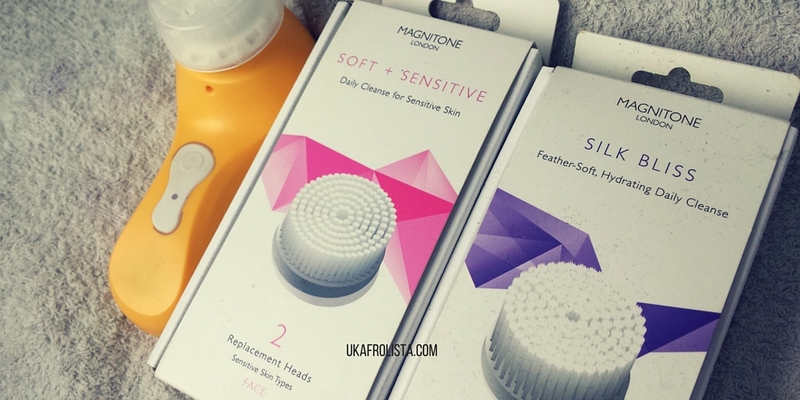 My Magnitone London cleansing brush has been LIFE!!! Let me tell you, if you do not have a cleansing brush in your routine...you need one!! It has made a huge difference to the appearance of my skin. I feel like I am getting deep deep down in the layers of my skin with this brush. The great thing about the Magnitone brush is it is has a 20second timer that indicate when to move the other section of your face. It only takes one minute to use! I have been rotating between different brush heads and I love the feel of the Silk Bliss head. It is sooo soft against my skin. ~Another plus about this brush....there are so many.... it is small, so you can travel with it and the battery last for AGGGESSSSS! I have been using it for the past few months and I'm in love!! 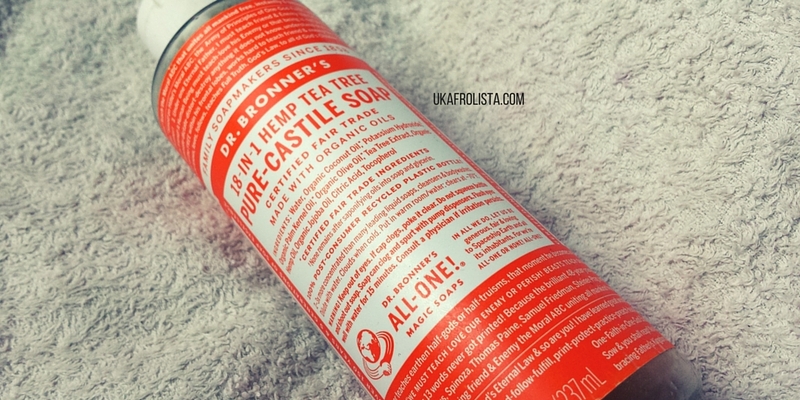 I am so late to the Dr. Bronner's party. I saw it in TK Maxx, and bought it to use around the house. I then read the many things it can do and thought let me try it on my skin. I feel soooooooooooo late. This soap is magical!! Seriously. 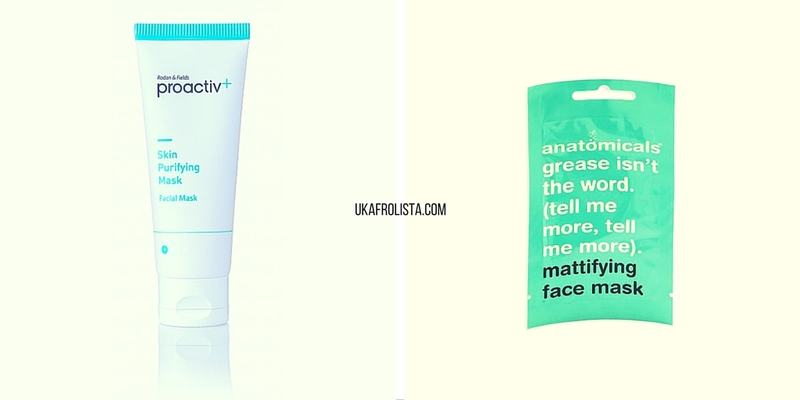 One use and I could see a HUGE difference in my skin. I literally use about 3 drops on my cleansing brush and cleanse. Because it is such a deep cleanser, I do not use it every wash, as it can be a bit stripping. I tend to use it in the morning and use a lotion cleanser at night to provide more moisture to my skin. I have been using products from Icelandic company Soley Organics for the past few months. 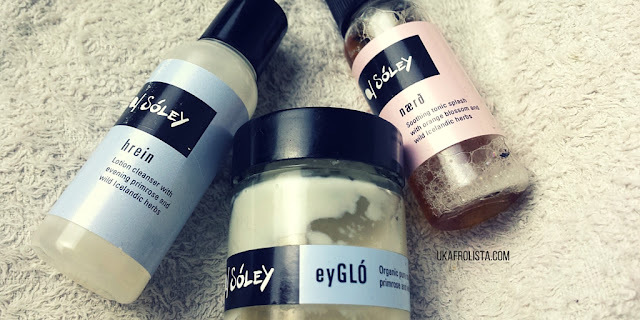 I met them at the Bloggers Hangout London Fashion week event and fell in love with the eyGLO sample I was given. They kindly sent me more products to try out and I love them! Their products are so rich and luscious. A little goes a long way! I use the hrein lotion cleanser at nighttime as it provides a lot of moisture to my skin. It doesn't strip my skin and leave it dry. The Soley Organics naerd soothing tonic splash is a beautiful calming toner. Sounds weird, but I literally spray it on my face and let it sink into my skin and massage it in. It leaves my face feeling so supple and rich. I truly love it! 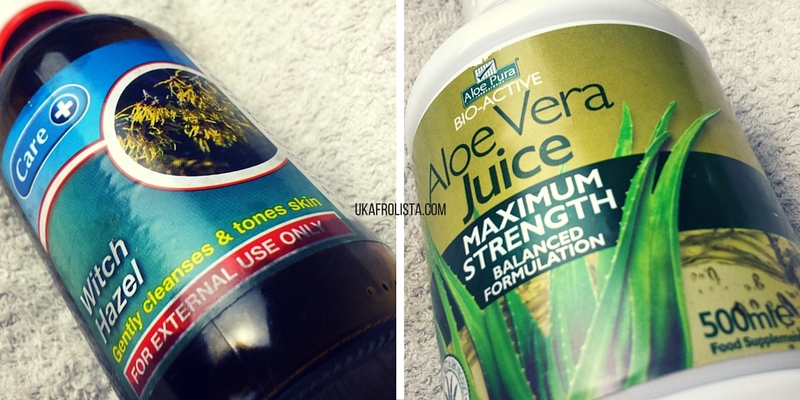 I also alternate between Aloe Vera Gel and Witch Hazel as toners, depending how my skin feels and looks. Sometimes I will use both to really give my skin a pure look and feel. The Aloe Vera Gel helps to calm my skin down, if I have waxed facial hairs, and the Witch Hazel helps to even my skin tone. 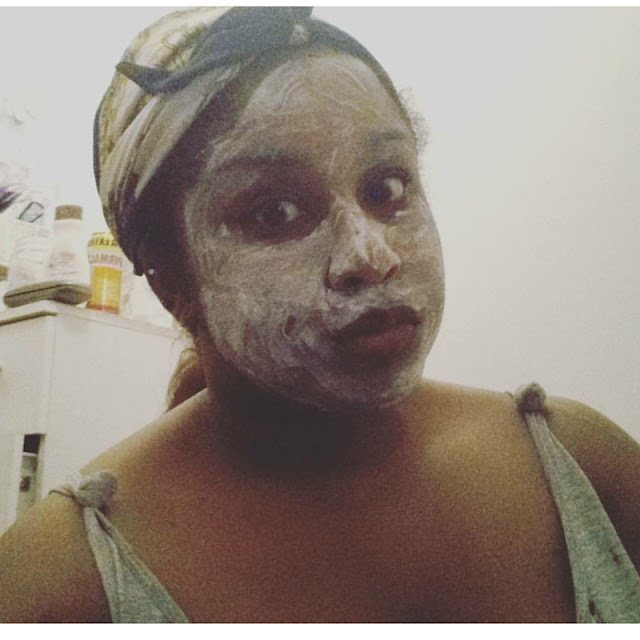 To detox my skin from impurities and dirt I am currently experimenting with different face masks. I have tried a few and have not quite found a favourite, but I do like the ones I have used so far. This is great for an all natural face mask, it is so simple to make and you can add oils for an added boost. This mask helps to draw out the impurities in your skin to the surface and detox the skin. I was sent this to trial, I don't suffer from greasy skin, so I don't feel like it was really the perfect for my skin, but it did leave it feeling soft. Moisture is the key to life!! haha! If you forget to tone or don't use face masks..don't forget to moisturise! 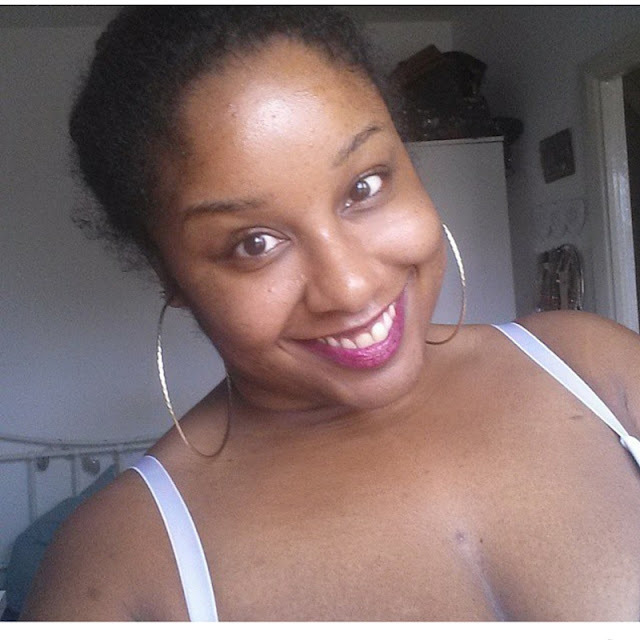 Moisturising is sooo key to your skin care routine as it keeps your skin supple, soft and hydrated for the day. I have tried alot of different moisturisers and have found my golden product. 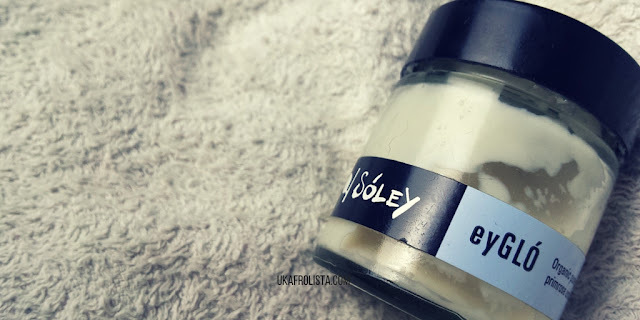 EyGLO by Soley Organics is A-MAZING..... No lie. I am in love with this moisturiser. You literally need the smallest amount and it spreads so nicely across your skin and just sinks in!! Oh..how I love it! My face glows with this lotion and I seriously don't think I can leave the house without using it. 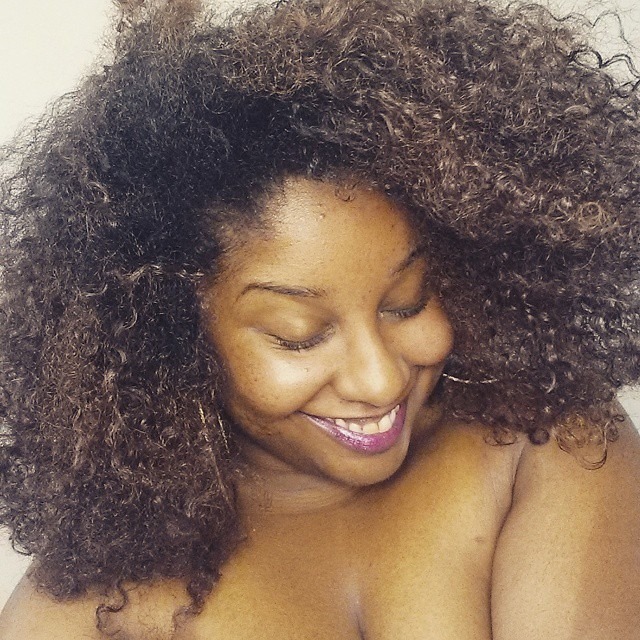 I also like to add oils to my routine to help seal in all that moisture and goodness!! This is a recent addition to my routine and I love it!! You only need the tiniest amount and it moves across your skin so easily and sinks in. 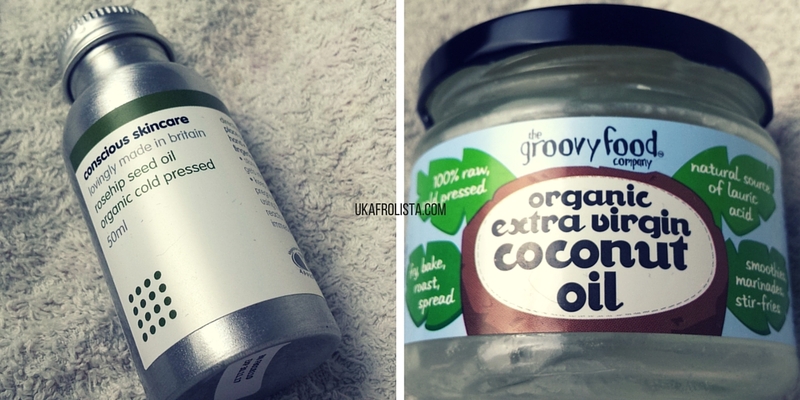 Coconut oil is bae! It's life.. its EVERYTHING... and you can use it for EVERYTHING. I love using it on my skin, as it just does wonders!!! My skin feels so hydrated and supple after using it and it gives a nice glow to my skin. I also use it all over my body. and that's it my lovelies!! How I stay looking 18 at 28!! haha!! I have tried alot of products over this year to get to this stage and it literally is trial and error, but I would suggest trying as many natural products as possible. The natural products will give you a great indication of what your skin likes and dislikes, then you can search for product lines that contain those great ingredients!! Do you use any of these products in your skincare routine?